Moving house is exciting but can also be stressful as there is simply a lot to organise. There is a lot to take into consideration when relocating and especially if you are moving to another area. Moving the contents of your home to the Acton area needs a lot of planning and you need to make sure you hire a reputable and reliable removal company. When relocating to Acton, W3 ensure you contact Moving Service. Our removal services in Acton are the best in the area and can help in all of the services required when moving house. Our friendly and polite staff is on hand to book a meeting to provide all of the services we supply. We can help provide you with additional services such as the delivery of affordable and quality packing materials and do the packing for you to help when you are busy. Also when you have unpacked we will return to collect the packing rubbish for your convenience. You can trust us to help with the entire moving service so contact us now for a free quote 020 8746 4402. Acton was originally a village until London expanded and became lost in the vibrant and huge city. Acton also means Farm by the Oak trees. Today Acton is situated in the London area of Ealing, whilst some of Acton is also in the other districts of Fulham and Hammersmith, and a small part of Hounslow. Acton postcodes include W3 and W12. Acton covers a large area from Harlesden to the north and Ealing to the west. It is part of the Ealing council. The area is home to seven railway stations, which is more than any other area of London. 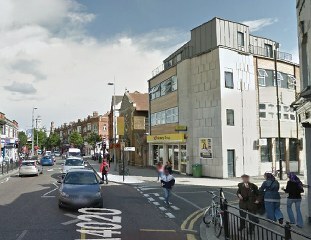 The heart of Acton is located on the main road between London and Oxford (Uxbridge Road). Along this route there still exist several Inns that date back centuries, and were used in the past as rest places for travelers. This is nowadays the main road that links London to Oxford along the A40 dual carriageway. Acton varies from the east being slightly run down, the south of Acton has a lot of large houses where people tend to share to save on rent. Generally Acton has lots of shops, supermarkets, restaurants, takeaways and pubs, and varies in prices from cheap boozers to posh and pricey. Gunnersbury Park is the biggest open space and has tennis and basket ball courts and playground and can be found south of the tube station. Moving Service are the best when it comes to handling all of your moving needs in this area. We are courteous and helpful and will arrange a meeting to access what you are moving and discuss the list of services you require from us. We can help with all or just part of the relocation to Acton, W3. We appreciate that you many need some assistance and can help arrange a removals service to suit you. From a man and van, to larger removal company in Acton or leasing a removal van we can deal with it all. Distance isn’t a problem we also provide international deliveries. You need to make certain you arrange everything so call us now for a chat about our first class services. For more information and a free quote call us now 020 8746 4402. Don’t forget when using the services of a professional moving company in Acton, you will need to acquire a parking permit in the area so find more details about permits in Acton. First-class removal service located here in Acton. They are affordable and easy to deal with, and treat your finer things with great care. I heartily recommend Moving Service to any and all!